Design managers at Sonoco wanted a simple tool to visually understand the pace at which their design teams were using and interacting with Box. Sonoco Tempo is a project management tool that allows managers to keep track of their design teams usage and productivity on BOX. Utilizing Box API, the application generates real time feedback on all actions taken inside of the cloud. Conduct interviews to gain understanding for what data managers need to see. Gather insights and create a user experience that best simplifies the needs determined. Design an interface that organizes real time parcels of data in a way that engages managers and quickly shows a progress overview for their team. Using live data to illustrate team efficiency. A clear visual way to display design team activity. Live feed of user activity. Connectivity with other offices to share workloads. Managing a team of designers comes with its many challenges. Research indicated lack of time and organization as two of the driving forces for the app concept. Using the insights gained from interviews, I worked with the development team to design a prototype that would leverage Box API and provide a live feed of user activity. 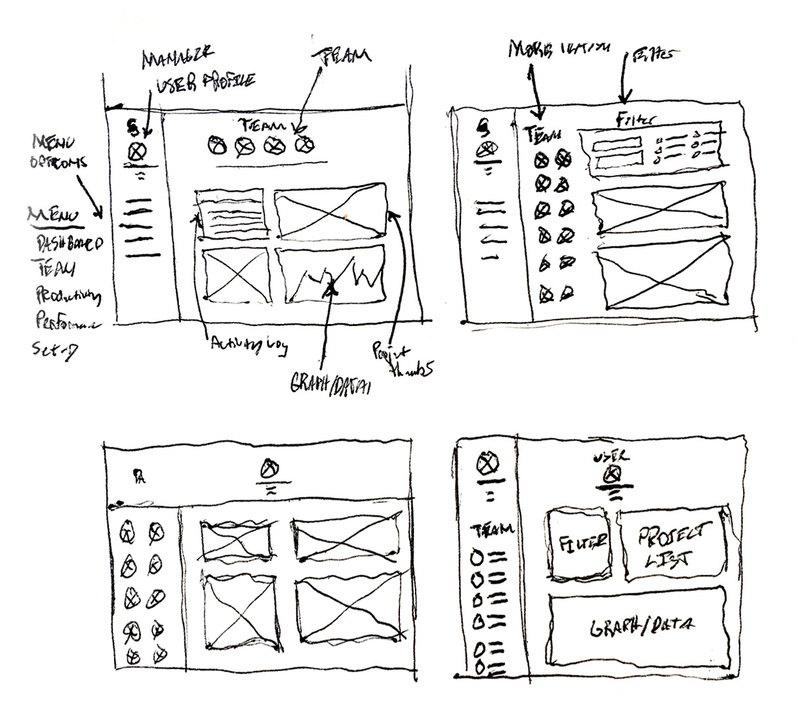 The application needed to organize each managers team and visualize user activity in real-time. By combining different elements from the low-high fidelity wireframes, the focus of the UI went from being multi-page to a single screen dashboard.